The CognitiveTPG A760 is one of the fastest two-color hybrid printers on the market, and offers integrated MICR and check flip. 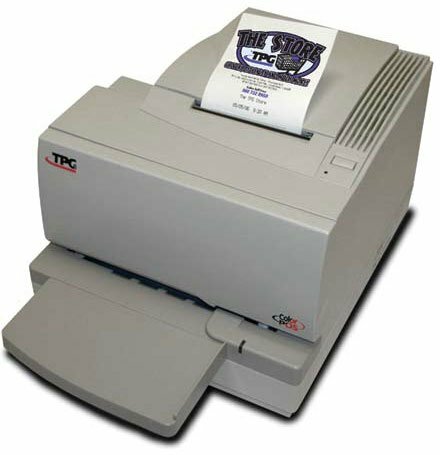 The A760's flat slip table remains the most accurate and user friendly way to print checks and multi-part forms. The A760 also offers standard monochrome printing. Black ribbon for A721/A758/A776 printers, 5ml characters. 6 roll case. Also available as a roll (Part# A152-0042-R). The CognitiveTPG A760-1215-0100-S is also known as Cognitive-TPG	TPG-A76012150100S	or A76012150100S	.